Suisman Shapiro Sponsored Post — Traffic safety advocates believe that smartphones are causing more deadly car accidents in Connecticut and across the U.S., but new federal statistics show that distracted driving deaths actually declined in 2016. What is going on? According to the National Highway Traffic Safety Administration, only 448 people were killed in smartphone-related car crashes in 2015. That number dipped even further last year. However, traffic fatalities significantly rose the past two years, and a closer look at the data shows that half of all traffic deaths in 2015 involved cars that were driving straight ahead, rather than veering off the road due to weather or a blowout. Safety experts believe that indicates that some drivers may have been distracted by their phones and simply plowed into something directly in front of them. This hunch correlates with numbers showing that pedestrian, bicyclist and motorcyclist deaths have risen sharply in recent years. For example, pedestrian fatalities rose 21.9 percent between 2014 and 2016. Over the same period, bicyclist and motorcyclist deaths jumped 15.2 and 15.1 percent, respectively. Meanwhile, studies show that smartphone use by drivers has continued to increase. So why aren’t more traffic fatalities being classified as being smartphone-related? Experts say that some police investigators are overly focused on other accident causes, such as drunk-driving or speeding. Another problem is that it can be difficult to prove that a smartphone was responsible for a crash. Car crashes caused by distracted drivers are a major problem in Connecticut. 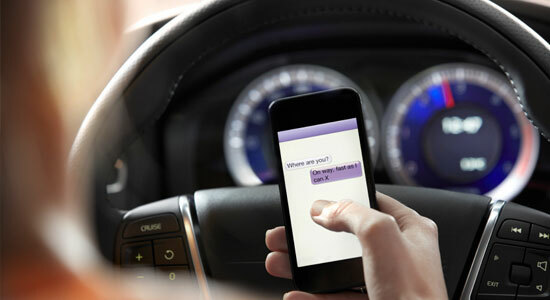 Individuals who are injured by a distracted driver have the right to pursue compensation in court. With the help of an attorney, it may be possible to obtain a settlement that covers medical expenses and other losses that have been sustained.